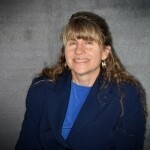 Laura currently serves as Human Resources Coordinator for ACI Mechanical/Comfort Systems USA Midwest. Laura first came to ACI as their service dispatcher, and has held several positions in her 25 plus years with ACI in the Accounting and Purchasing Department, before taking the Human Resources position in 2011. Outside of ACI Laura enjoys spending time with her family and horseback riding.